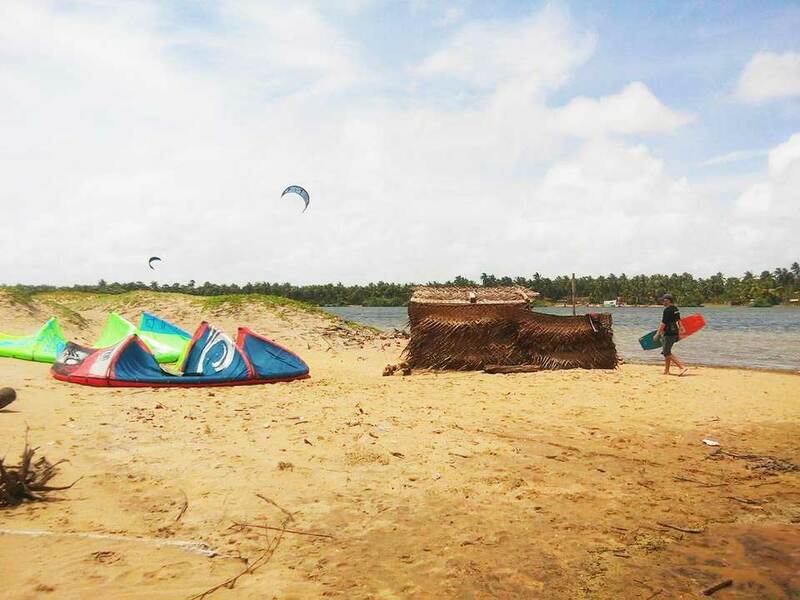 This is a short story about our kitetrip to Sri Lanka. 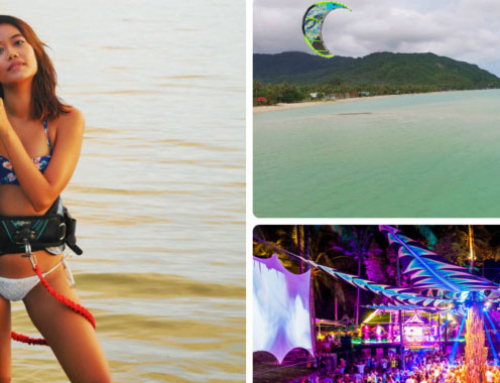 This year we at KITEFLIP decided to take our kitesurf school on Koh Phangan on an unforgettable holiday to one of the most untouched and windiest places in Asia. 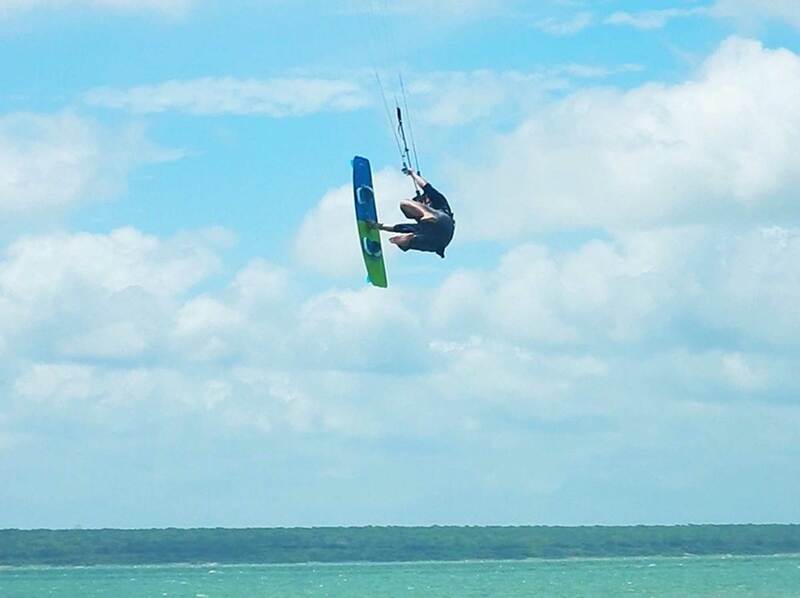 All of the kitesurfing is going on around the area of Kalpitya. The best time to go there is between June and September. To get there is fairly easy, just fly to Colombo and take a 3 hour drive with a minivan and driver to Kalpitya (will cost around 10.000 LKR). It’s important to arrange your accommodation beforehand because the options are pretty limited and most places are easily full. Because there is not too much choice the prices are quite high compared to other area’s in Sri Lanka. 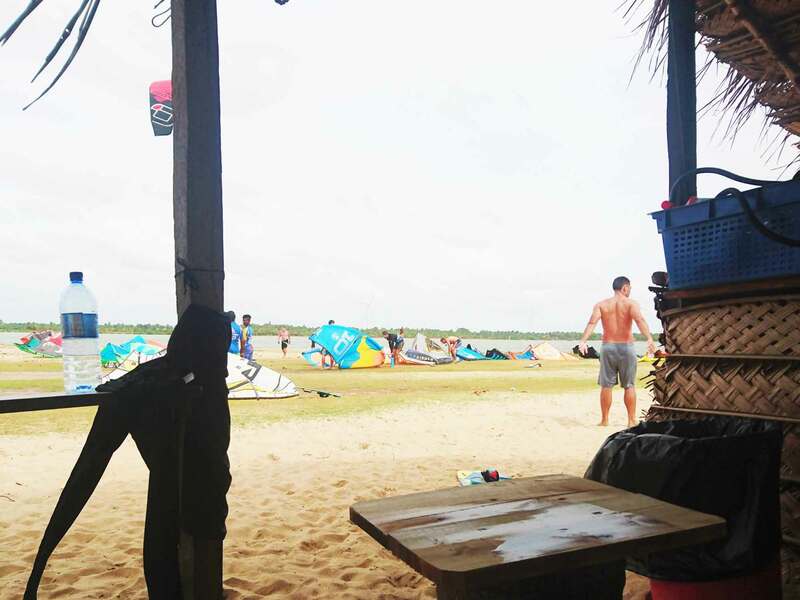 We also figured out that there are almost no restaurants around so most resorts and kitecamps are full board which is compared to our kitesurf school on Koh Phangan a different experience. 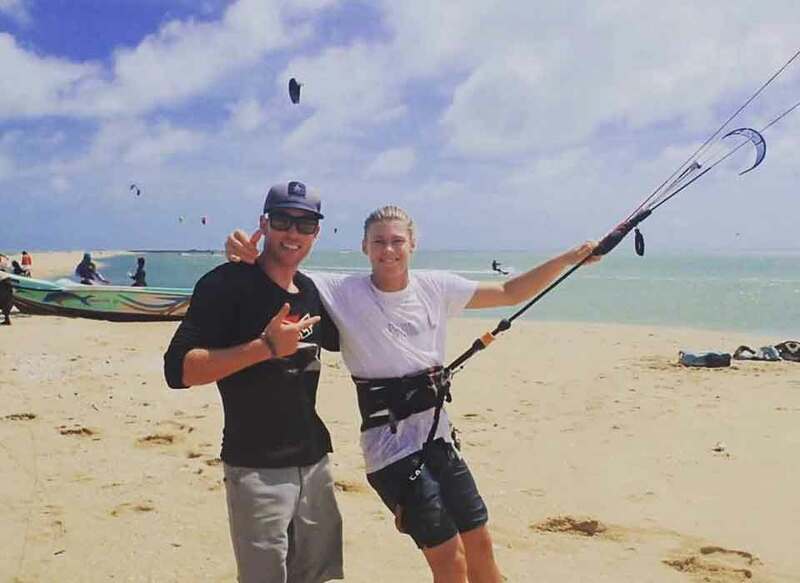 In a kitecamp you really live together with the other kitesurfers which makes it very easy to get to know eachother and become friends. 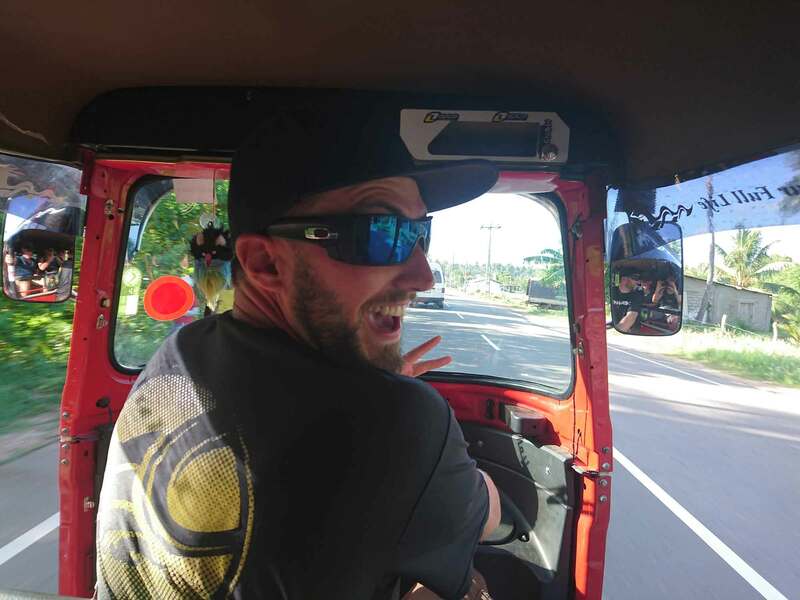 We decided to rent a tuktuk for the time we were there so this made it easy to go around and it’s a lot of fun driving. We paid 2000 LKR per day for the tuktuk which divided by four people is very cheap. 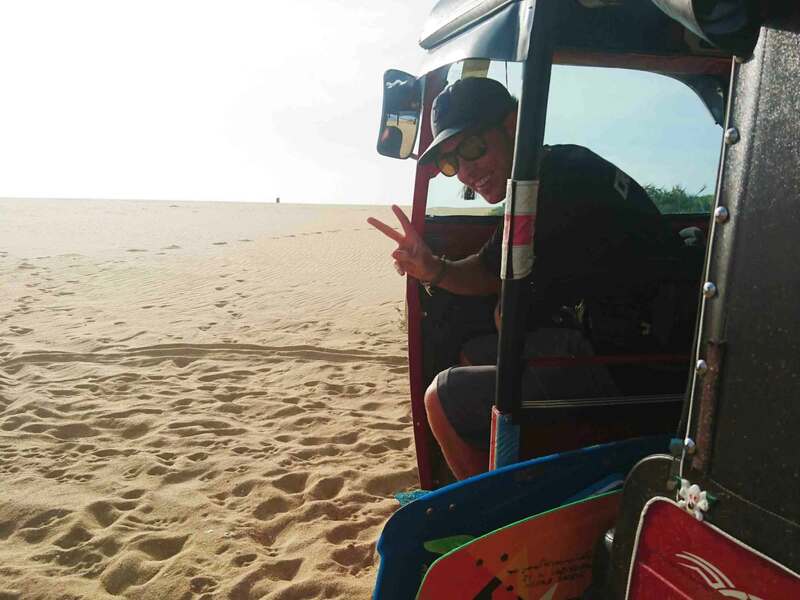 Just know that not every place is accessible by tuktuk and they are not very spacy to get all your kitegear inside but with some tetris-moves you will get there. 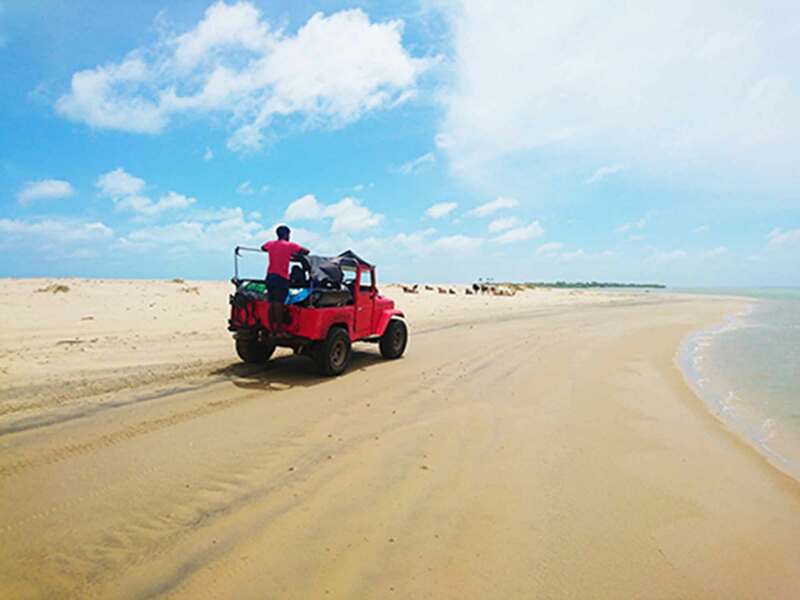 The first days of our trip we stayed around Kappalady lagoon which is a pretty small flat water lagoon protected from the sea by a sandbank. We were told the wind is very stable here but we got a bit unlucky and got pretty gusty winds ranging from 12 to 20 knots. The place is quite small but only at certain times it was a bit too busy. Tip: Go early morning or at lunch time. You will have most of the place to yourself. 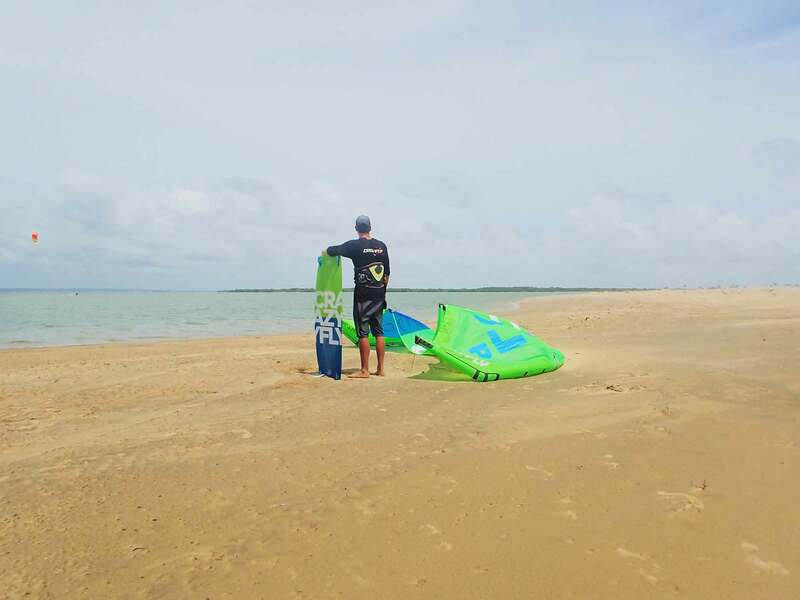 Since we always have the place for ourselves at our kitesurf school on Koh Phangan we are not used to a busy place. Note that this lagoon closes at 5 pm for kitesurfers so the local fisherman can do their thing. In general there is nothing to do in this area but there is one of the best restaurants/chill out places in whole Sri Lanka called the kitehouse (click to visit). The owners Anais from Spain and local hero Keira are great and their place is right against the lagoon so be sure to check it out! 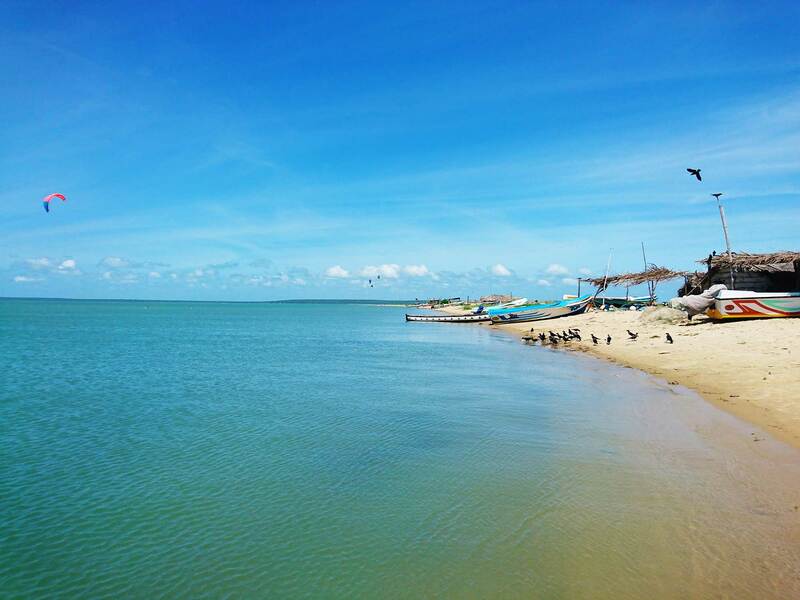 Kalpitya lagoon is the big lagoon where most of the kiteschools and camps are located. The wind here is side offshore and was again more gusty then in our kitesurf school on Koh Phangan but also a lot stronger. Most people here are riding with an 8 or 10 meter kite. The place is big and there is enough space for everybody. All the schools have their chill out area close to the water. 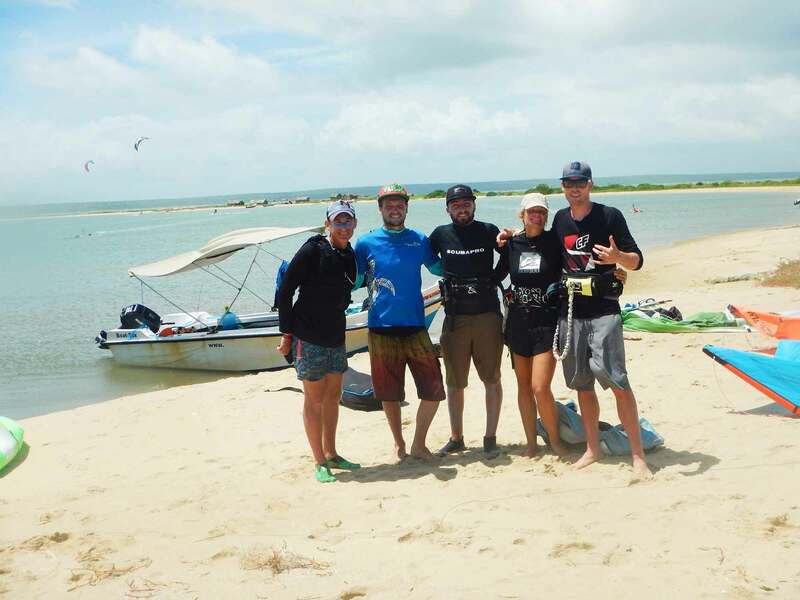 We decided to join KitesurfingLanka (click to visit). Their camp is one of the biggest in the area and their organisation is very good. All the staff is smiling and we felt right at home. 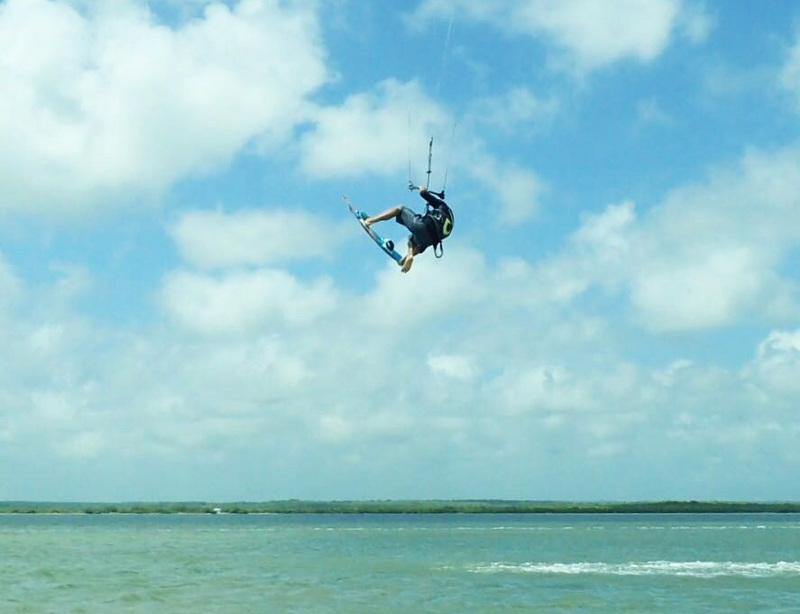 There is an option to get lunch delivered to the kitespot around noon which is very convenient. 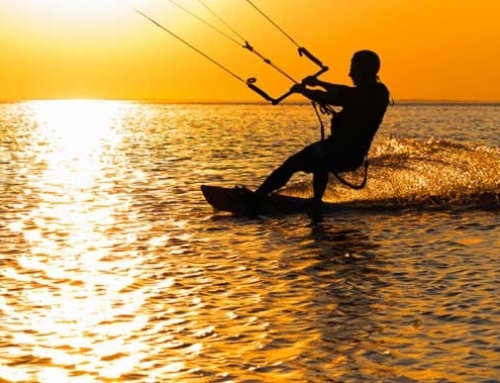 They also have a great bar to hang out in the evenings with a lot of other kiters exchanging some great experiences. The name says it all and you definitely want to check out this spot. We made 2 trips to this place with our kitesurf school on Koh Phangan and one thing was in common, it is not so easy to get to! Now remind you that it all depends on the time you go but both of the times we went there a part of the road was flooded by the high tide. The first time we had to switch to a better car and the second time we had to walk the last part, but in the end it was worth it! The water is flat and the wind is strong and stable. The best part is we had the whole place to ourselves so we had a great session here. 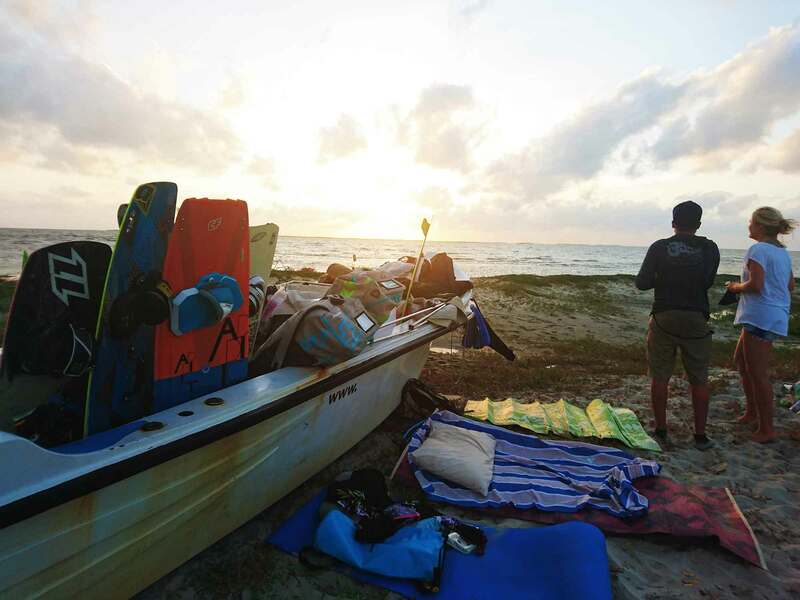 For beginner riders I would recommend to go there by boat because the wind is side offshore so if things go wrong the boat can come to rescue you. 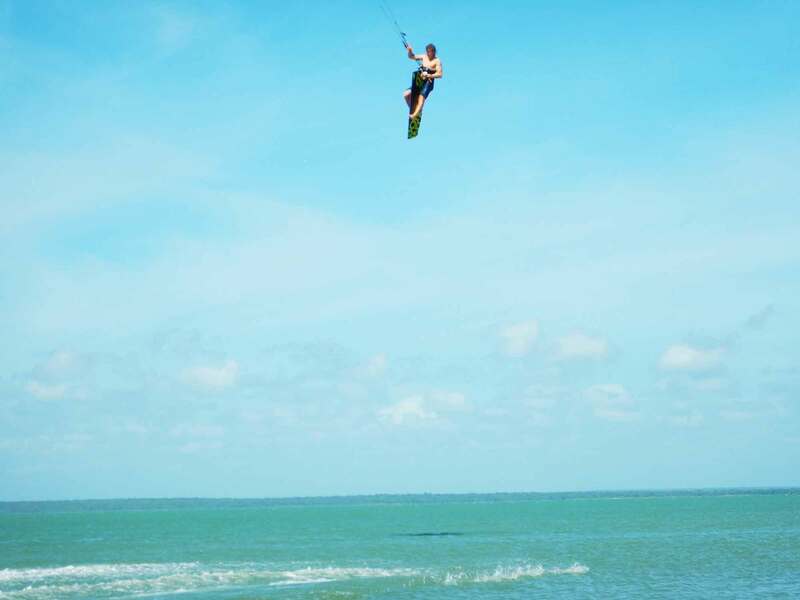 At our kitesurf school on Koh Phangan we are used to always ride in side-onshore wind so it’s a nice change to have off shore wind here in most places. This makes the water really flat which is great to practice some new moves. Also make sure you have some food and water with you because there is nothing around. The biggest part of our trip we stayed at Hosanna kitebeach resort (click to visit). The price/quality for this place is quite good and the manager Laka was super helpful. He arranged a few trips for us for a very fair price and overall he took good care of us! We can recommend this place. We saved the best for last, de crème de la crème.. Vella Island! We made two boat trips to this place and I wish we could have spent more time here. There is a Vella 1 and Vella 2 which are actually two small islands with butterflat water and strong stable winds. 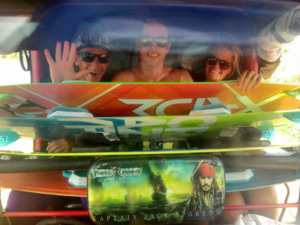 The winds here are much stronger then at our kitesurf school on Koh Phangan so we were very excited. Most people start at Vella 1 and do a 10 km downwinder to Vella 2. 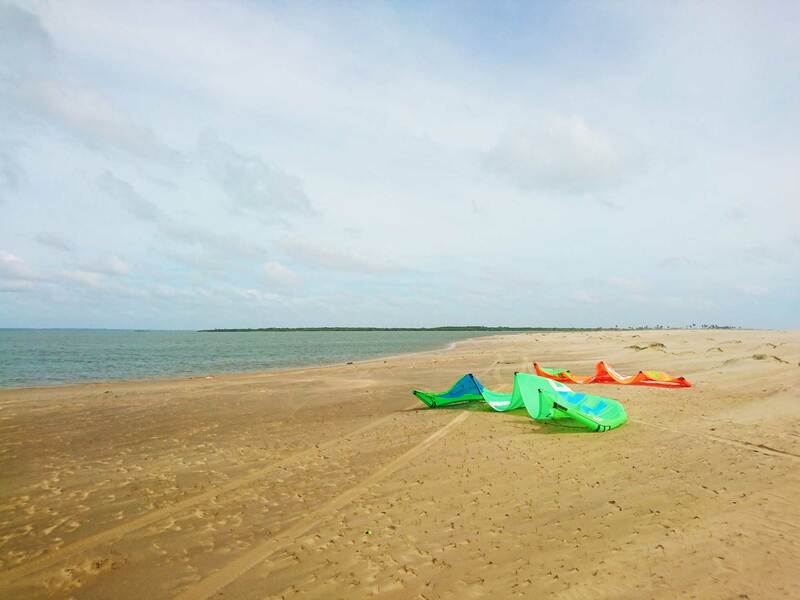 You will pass by many sandbars and small fisherman huts while riding only flat water. Then you arrive at Vella 2 which is one of the best spots in the world. I have never seen a spot with 30 knots of wind and such a flat water, just amazing. 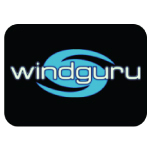 This is the place to be to get your skills to the next level. And once in a while your lucky and meet some pro riders 🙂 We got the chance to see world champion 2015 Liam Whaley (click to visit) in action. We really enjoyed the show. Thanks man!! *** For everyone who wants to join us for next edition please contact us here.